Acerola, or Barbados Cherries is native to South America, Southern Mexico and Central America and is known for its incredibly high content of vitamin C, A, B1, B2, and B3, as well as carotenoids and bioflavonoids, which provide important nutritive value and have antioxidant uses. Besides making sure we source the best raw-material available, our state-of-the-art manufacturing process consistently delivers high quality acerola powders, what set us apart to higher standards, when it comes to creating and conceiving and products. √ Products with inventory in the U.S. warehouse, all other products typically need minimum order quantity (MOQ) of 500kg unless under supply agreement. The Açaí Palm is native to Northern Brazil and is commonly known as Açaí berry. It becomes famous worldwide for being extremely rich in polyphenols and antioxidants. The berry is a small, round, black-purple drupe about 0.5 inch (10 mm) in diameter, similar in appearance to a blueberry, but only its skin, exocarp of about 1-2 mm thickness is useful as fruit pulp. The seed makes up over 93% of the entire Açaí berry. Besides making sure we source the best raw material available, our state-of-the-art manufacturing process consistently delivers high quality açaí berry powders, what sets us apart to higher standards, when it comes to creating and conceiving and products. RTD Teas and Beverages, Food Bars, Flavored Waters, etc. Myrciaria dubia, commonly known as camu camu, is a small bushy riverside tree from the Amazon rainforest in Peru and Brazil, which grows to a height of 3-5 m (9.8-16.4 ft) and bears a red/purple cherry-like fruit incredibly rich in vitamin C.
The amount of vitamin C content in the Camu-camu begins to diminish as the fruit reaches maturity, which is when the top flavors emerge. Therefore, harvesters have to forge a delicate balance between flavor and nutritional benefits, which is why some people prefer slightly less ripened Camu-camu fruits. Our experience and infrastructure are crucial assurance that your source processes the best raw material produced in our state-of-the-art manufacturing processors to consistently delivers high-quality ingredients. Guaraná is native to the Amazon basin and especially common in Brazil. It features large leaves and clusters of flowers and is best known for the seeds from its fruit, which are about the size of a coffee bean. Especially as a dietary supplement, guaraná is an effective stimulant: its seeds contain about twice the concentration of caffeine found in coffee seeds (about 2-4.5% caffeine in guaraná seeds compared to 1-2% for coffee seeds). However, demands for Guaraná is not only just about any caffeine but the complete spectrum of phytochemicals and flavors that makes it one of the most popular product in the World. With such high demand including all the major global companies fighting for the raw materials, the price has risen tremendously. 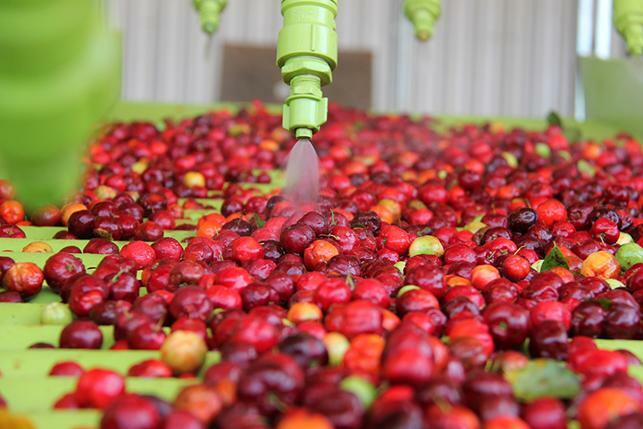 And due to the current situation, the spiked up demand for added caffeine (synthetic or natural caffeine from coffee) to guaraná are the products available to meet the huge demands. Our processing capacity is significant one in our segment to be one the biggest in Brazil with the total capacity to process over 300MT (metric tons) monthly. We welcome serious companies that are seeking to work directly with processors to simplify the complexities of FDA’s new FSMA act requirements. ABrazil Group of expertise in delivering high quality herbal extracts sets its clients to higher standards when it comes to developing and conceiving their end products. Our state-of-the-art processing unit allows for concentrating and delivering what’s best in the herbs that we process and that’s what we like to surprise our clients with. Top high quality raw ingredients and freeze dried products. ABrazil’s promotion of the raw materials to our customers is one brilliant idea of assurance of the high quality raw ingredients that are being used. This program will expand as we find good ways to pack and deliver them efficiently.